These beautiful memorials incorporate the ashes of loved ones or pets. 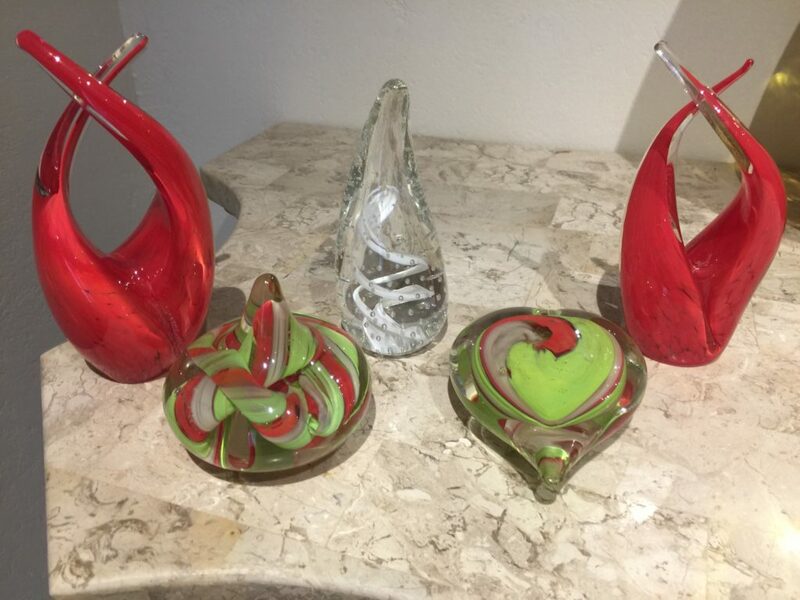 Each one is individually handblown and crafted with your choice of colors and shapes. Prices for these memorials range from $100 for the small pieces and $200 for larger, depending on size.